It's the final stage of the story and both characters are going to marry. Well, you need to dress them one after another and have fun! 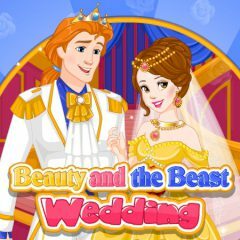 Are you ready to help the beauty and the beast to get married? Everything is organized now and the only thing left to do is choose the outfits. Can you do that?